University Auto is a family business, founded in July of 2000 that is managed by Mike Efird and his wife, Jill. This full service automotive shop has served Union and the surrounding counties for over twelve years. We are known for our friendly, professional service as well as our honest and quality car repair. Our mechanics have over 60 years combined experience in the automotive field. They are all ASE certified Master Technicians. Our technicians stay current on the latest technical information and have access to the same repair information as dealerships. We also use the latest computer analysis and diagnostic machines. 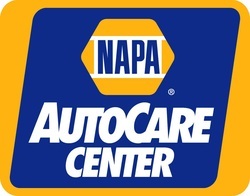 University Auto is a Napa Auto Care Center as well as an Official Inspection Station. Because we strive to create a base of repeat customers only provide quality service at extremely competitive prices. Nowhere else will you find car maintenance at such a fair price. We want you to visit more then once and we want you to tell everyone you know about your great experience with us. Call our auto repair shop today for great automotive repair service! 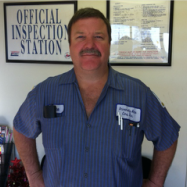 Serving you with nearly thirty years of experience, Mike is the owner and operator of University Auto. He is the service manger and the lead technician. He is also a ASE master technician and L1 certified. He is a graduate of CPCC with an associates degree in automotive technology. He always guarantees personalized service to your car. Care. She has a bachelors degree in business and accounting. 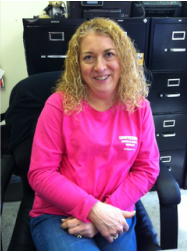 Jill has many responsibilities as manager, service writer, accountant and secretary. She takes time to carefully answer customer's questions and satisfy their needs. Currently there are three employed mechanics. They are ASE certified master technicians with a combined 25 years experience. They are also qualified as NC automobile inspectors. "We have been customers of Mike and Jill for many years and have always been pleased, not only with the automotive service and Mike's expertise, but also their friendly approach to customers, their honesty and reasonable prices. We wouldn't think of going anywhere else." "​University Auto assisted me quickly with an emergency situation that was caused by another auto repair center. Now it is the only place I go! Mike is always fair and gives it to you straight. I can appreciate that as a female since I have experienced the other end! And of course I can't forget the rides back to campus when needed. Truly great people to trust with something as important as your car. Thanks Mike and Jill!"